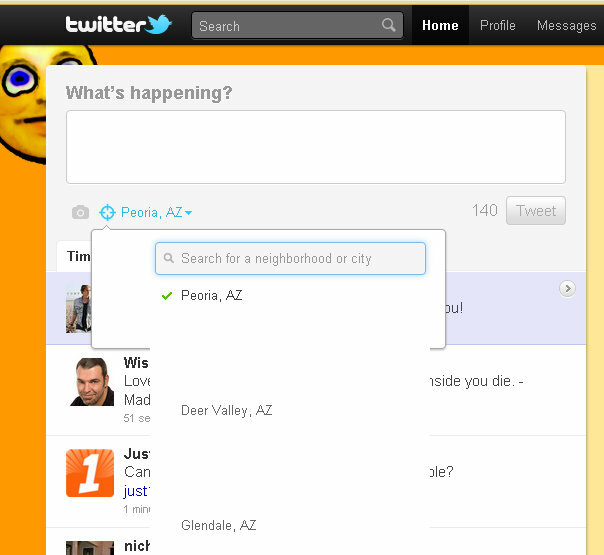 The Twitter location selection feature has recently broken. Notice a problem? Space; and lots of it. 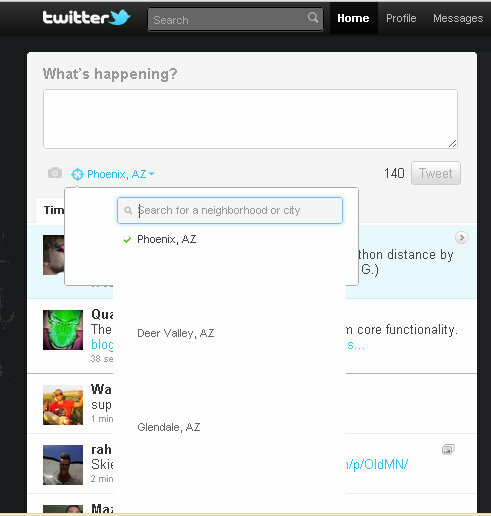 The huge gaps between location options prevent the entire list from displaying on the screen. Plus, given that the option to turn off location sharing is at the bottom of the list, there is no way to disable location sharing. I've been consistently encountering this issue across multiple browsers with multiple Twitter accounts.